My name is Brett Appley. I started watching MMA and training back in college. I've been gambling my entire life, starting with poker and transitioning to sports betting and Daily Fantasy Sports. When DraftKings launched an MMA Product in early 2015, I started breaking down fights from that perspective each week, both in written format and via video podcast. I worked extremely hard at this for a couple years and became somewhat of an authority in the space, as I was one of only a few who cared about and pushed the product from the start. Eventually I was hired by RotoGrinders, the No. 1 Daily Fantasy Sports advice website, as the Lead MMA Analyst to break down fights each week from a DraftKings perspective. In late 2016, I launched my current DraftKings product, MMA Premium, which you can find here: https://rotogrinders.com/marketplace/mma-premium-339. Currently MMA Premium costs $9.99 per week, and it includes in-depth written breakdowns of every fight from a DraftKings perspective, projections, rankings, access to the Premium Chat and much more. I've also just added my bets and betting breakdowns to this package. 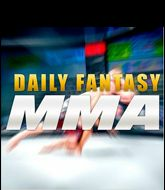 It's become an essential tool for many Daily Fantasy MMA players, including many of the elite players. I'm proud to say I've helped fellow Daily Fantasy MMA players win hundreds of thousands of $$ over the course of the past few years, without exaggeration, and you can find testimonials of success here: https://rotogrinders.com/articles/mma-premium-testimonials-2009516. I've personally had success each year on DraftKings, profiting consistently with h2h games and winning a handful of tournaments as well. I've earned a top-10 MMA Ranking in both 2016 and 2017. At some point, I realized I could make good money betting on MMA as well as DraftKings, and started to shift part of my attention to betting in 2016, where I started tracking my bets for personal purposes. My betting style is different from most, I believe there are only a small number of worthwhile bets each week, and I tend to hone in on 1-3 targets. I don't like taking 8+ chances on several fighters in hopes of profiting. I want to be confident I can profit each week. The maximum number of units I will bet per fight is 5, but the majority of my bets will be 2u or less. I will rarely bet more than 7u in a single card, which approximates to 7% of my total bankroll. I'm still continually learning, but watch dozens of hours of fight tape per week and have a strong work ethic, so I believe I will continue to be profitable in the long run. - Please subscribe to my YouTube channel, where we host several videos per week with some of the best minds in the industry. You can also access the podcast on iTunes and Stitcher. - Feel free to Direct Message me on Twitter with any questions.